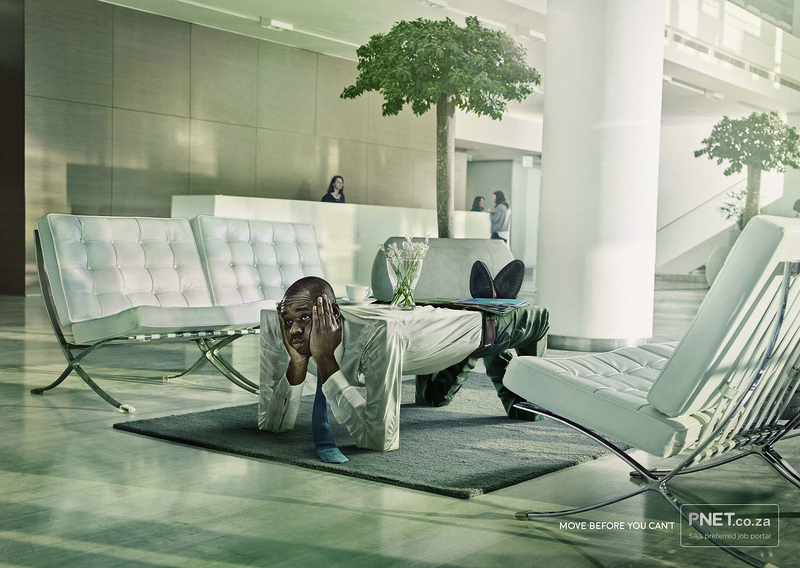 PNet’s most recent print campaign, in partnership with Joe Public, makes you look twice and giggle. When you’ve simply been doing the same job at the same place for much too long, it becomes harder to move, especially if you’ve become part of the proverbial furniture. The print campaign advertises PNet’s job portal that offers close to 20 000 job positions online. 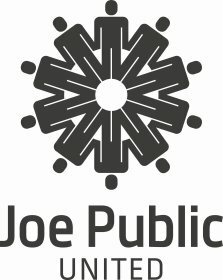 Joe Public’s execution highlights people who feel stuck in a rut and under-appreciated to move out of their ‘comfort zone’ and start searching for a new job on pnet.co.za – of course. 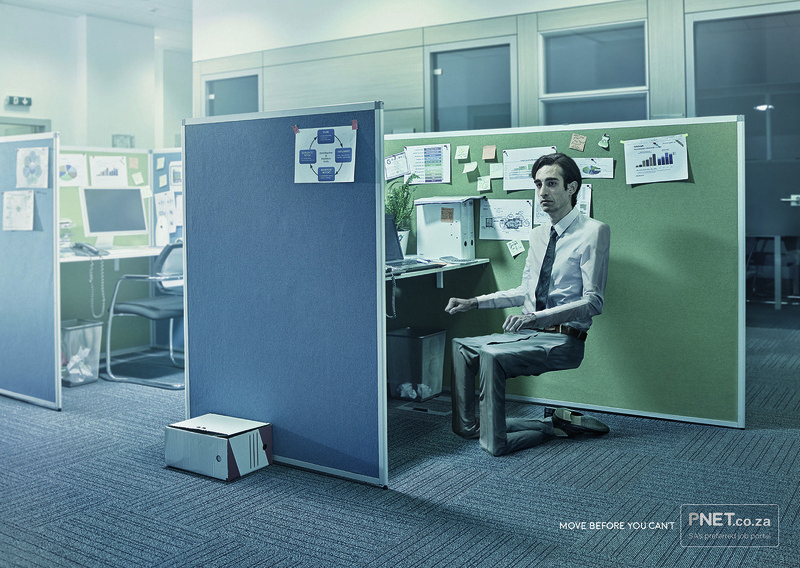 The three executions, aptly named Chair, Coat Hanger, and Table aim to get the audience to empathise with the ‘part of the furniture’ employees but also delivers a good dose of humour and hits home with the following witty message: Move before you can’t.